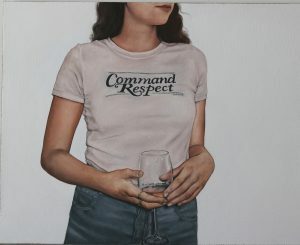 …like the amazing Helen Robinson, whose painted portraits of contemporary women demonstrate our desire to wear our feminist identities on our sleeve. Want to know more about Helen and my other female faves? Check it out! And be sure to pick up your tickets to Superfine! DC here.